In 2010 we came up with the poultry project as an income generating project as supplementary sources of income to CRVO as well as for households from where we have children in the project. The organization has been running this poultry since 2010 with full support from Vleugels van Hoop association till early June 2015 when we lost all the birds due to the disease outbreak that left all the chicken 800 in number dead despite the intervention of the veterinary doctor. This project has been the major source of income to cater for children’s education. To increase the sustainability of CRVO for it to be able to continuously support its Vision and mission for the orphans and vulnerable children. To promote socio-economic transformation of Children and their community through income generating projects at the household level, which will help them in meeting their own basic needs. To improve the nutrition at the house hold level. Having a source of income for the children’s school fees necessities to support its operations and interventions in the community more especially for the orphans and vulnerable children. Both children, caregivers and community will acquire improved skills and knowledge for productive poultry keeping. Creation of employment for some community members. Through this project the orphans and vulnerable children, their caregivers/parents and community members will be equipped with business/entrepreneurial skills. Kroiler breed is an Indian breed that has been recommended as resistant to diseases. It has also been recommended to construct new structures which are improved and are made up of only iron sheets to avoid some eventualities including fire outbreak. Most of the materials that were being used should not be used in new restock to avoid transfer of diseases from the previous chickens. This project is one of the key income generating projects that has continued to contribute towards educating children under CRVO. During the month of July we received financial support to restock the poultry project which proved to be one of the essential sources of income that enable children access education. We are happy to report that a team of five people, both staff, child representative and guardian’s representative convened a meeting in which the work plan on how to implement the project was drawn. A two level poultry house was completed with a capacity of housing 400 chickens per level. This was for a period of two weeks. 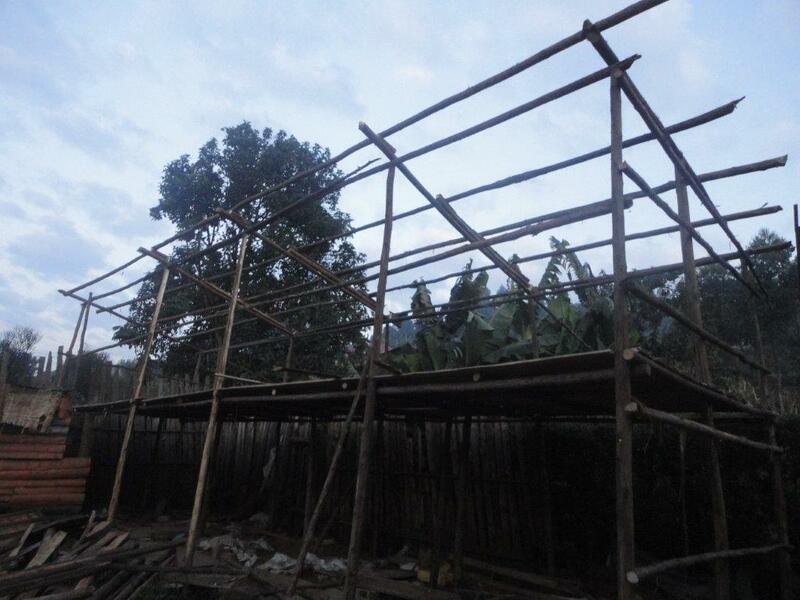 With the expansion of the project, there is ample shelter for the chicken. 700 chicks were stocked for the start. These are all doing well. Proper management of the chicks is given priority through regular treatment, feeding and monitoring of individual chicks. Funds are fully spend and receipt of all purchases were provided. The hiked price of feeds is the only challenge that has been registered so far.